We have been advised by Ben Mhango, our driver/mechanic in Malawi that the replacement fuel lines for the emergency single phase generator at Embangweni Hospital have arrived. Ben has now fitted them and the generator is working well. We have now been offered a 3-phase generator by Macduff Shipyards who have reconditioned and serviced the generator set. This machine would be capable of a much greater load, allowing more pieces of hospital equipment to be operated during the frequent power outages. 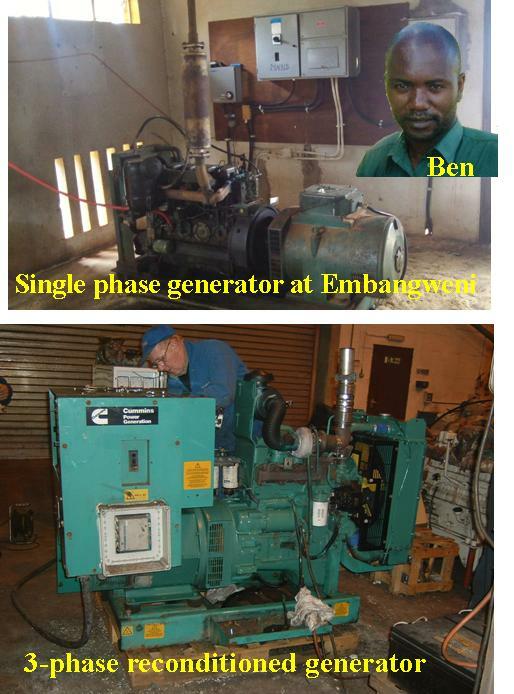 We are very grateful to Macduff Shipyards and are hoping to ship the generator set out to Embangweni in a container in February.